Everybody that has ever been boating can tell you one thing, it is utterly liberating. However, boats are somewhat limited in their capabilities. That limit being, they generally tend to stay above water. Well, to overcome that limitation, a Netherlands based company, Ortega, has stepped outside the box and brought us the Ortega Submersibles. 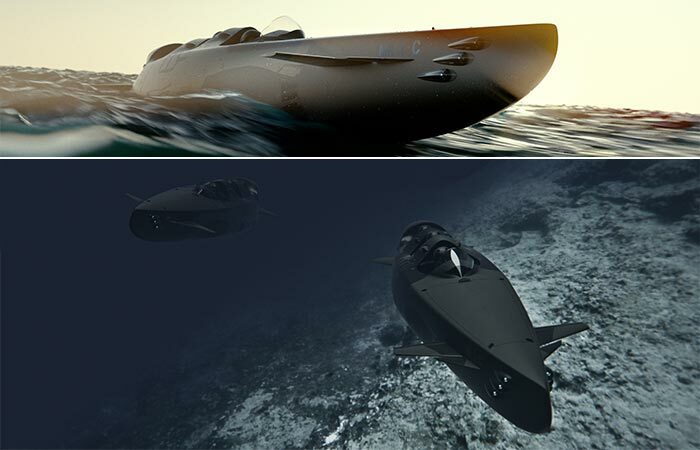 Ortega Submersibles have redefined underwater travel by combining innovation with super-advanced naval technology. Featuring 2 different models, the Mk.1B and the Mk.1C, these craft feature 2 and 3 seat options, respectively. The Mk.1C model offers 3 seater options. 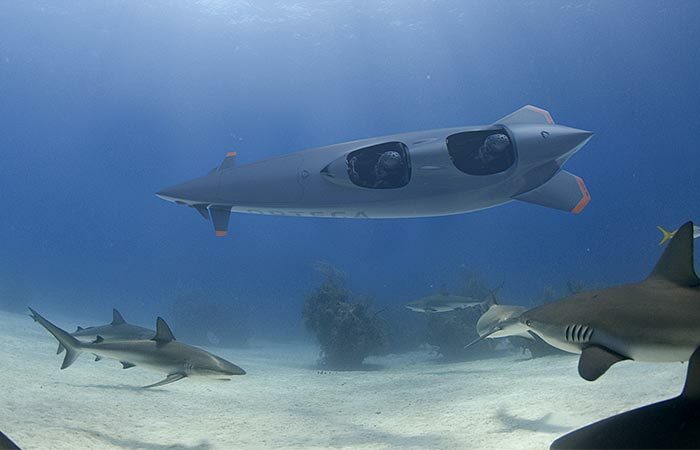 It also comes with twin 10kWh motors that can have you cruising underwater at 12.7 miles per hour. These vessels are powered by two high-power electric motors. They were also designed for over and underwater use. This makes it an exceptionally versatile vehicle for adventurers, filmmakers, resorts, offshore surveying companies, research institutions, and a variety of others. The Mk.1B model offers the same speed, but at a reduced range, and only has two seats. These submersibles have also been outfitted with a trimming tank, as well as on-board breathing apparatus. They also come with a HUD navigation system. Besides this, they can also be outfitted with Magnetometers, sonar and FLIR. Furthermore, an extra air supply or a cargo hold of up to 250 liters can also be ordered. In addition, all of the on-board equipment supports dive depths of up to 310 feet. 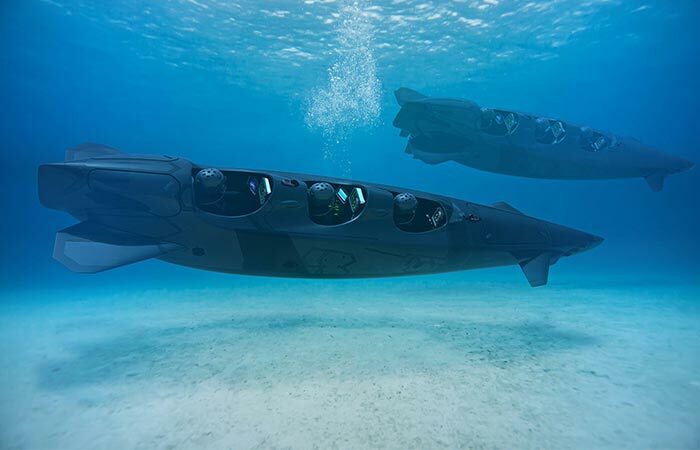 The fact that these submersibles were designed for over and underwater use, makes it some of the most versatile watercraft on the market.